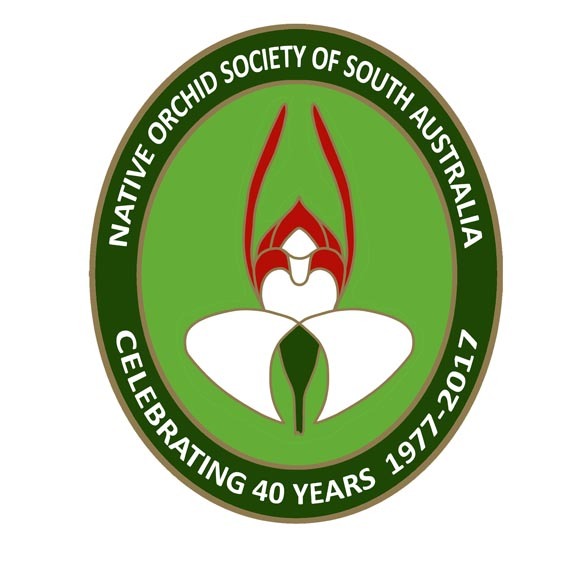 The Native Orchid Society of South Australia (NOSSA) is affiliated with the national body of native orchid society, Australian Native Orchid Society (ANOS). NOSSA regularly sends reports of its to ANOS. This year’s report covered four years of the society’s activities and is reproduced here to give readers an idea of the many things that we do. This report was produced by Robert Lawrence (currently Vice President). I believe that the last annual report from the Native Orchid Society of South Australia was in 2011 when we were just commencing a three-year plan with the establishment of a series of subcommittees. All of the committees have since ceased to exist, but not without significant accomplishments. The Website Subcommittee had established a website, but a Webmaster has since been appointed. The website now uses WordPress and is maintained so that its management could easily be transferred to another person. The website provides a weekly educational post about Australian orchids. It has also provided a point of contact from those outside of the Society. It is linked to a Facebook page that increases the profile of NOSSA among those interested in orchids throughout Australia and beyond. The Education Subcommittee had established a picture competition at the monthly general meetings. There is still only a small number of contributors, but many excellent pictures are shared. The winning picture from each meeting is used as a basis of one of the weekly posts on the website. The Education Subcommittee had a vision to produce a brochure of 20 common orchids of the Adelaide region for free distribution to the general public. The NRM (Natural Resources Management) Education ran with the idea and produced a poster of Common native orchids of the Adelaide Hills. This provided brief, but comprehensive, profiles of 29 native orchids and the weedy species. This has been printed as a double-sided poster and is available from the website of Natural Resources Adelaide and Mt Lofty Ranges. NOSSA members worked with NRM staff on the details of the poster and NOSSA members contributed many of the photographs. This poster was completed and launched in April 2015. NOSSA also provided monetary assistance as a loan with the publication of the field guide entitled, Start with the leaves. A field guide to common orchids and lilies of the Adelaide Hills. This guide covered 50 orchid species as well as native lilies and some weeds in the Iridaceae family that are sometimes mistaken as orchids. The contribution of $8,000 was recovered only 8 months after publication. The Disc Publication Sub-editing Subcommittee saw the publication of South Australia’s Native Orchids on DVD discs in time for the Spring Show in September 2011. Both the DVD and the book were published in time for the Spring Show in September 2011. Both continue to sell. NOSSA members have being working since 2014 to establish an interactive website and database modelled on the Go Botany website run by the New England Wild Flower Society in the USA. This was supported by a grant from the Australian Orchid Foundation. The project is called Wild Orchid Watch. It is hoped to produce an interactive, web-based orchid identification tool. Recording sightings through such means as apps on mobile telephones are also being investigated. In 2014 NOSSA made a donation to help establish the Orchid Conservation Program. This was led by Dr Noushka Reiter. Once established, staff in the Department for Environment, Water and Natural Resources began to organise a trial with four threatened orchid species from South Australia. Noushka visited South Australia during 2015 and collected samples from each of these species and isolated fungi from these. Seed was also collected and work on propagation commenced in 2015. During 2016 NOSSA sponsored the propagation of one of the four species through the Adelaide Botanic Gardens. Caladenia gladiolata, an endemic species, was selected. Paul Beltrame, a secondary teacher at Kildare College, contacted and joined NOSSA during 2014 with the interest in getting girls at this school involved in the propagation of native orchids. A program was organised modelled in the Orchids in Schools program run by the Orchid Club of South Australia with Les Nesbitt’s involvement. A delegation from Kildare College, ably assisted by their enthusiastic laboratory assistant Nenah McKenzie, visited Noushka in Melbourne and learnt the technique for separating and growing fungi. They have since separated fungi from two of our more common greenhood species and supplied this for seed kits that were made available to members as a trial at the start of the 2016 growing season. The trial of seed kits was done for Pterostylis nana and Pterostylis sanguinea. A trial was conducted in this growing season of seed kits for members. Kits included a pot, growing media, seed, fungus, mulch and instructions. There seems to be limited success with the current round, but improvements are planned from the lessons learnt. One particular growing mix proved successful with a small number of seedlings appearing. The contribution of the Orchids in Schools program at Kildare College has been necessary for the isolation and production of fungi for the kits. In October 2012 Cathy Houston and Robert Lawrence collected seed of Pterostylis arenicola from the only population on the Adelaide plains after monitoring in September indicated a good year for seed production. The seed was germinated in 2013 and was deflasked at a working bee at the Adelaide Botanic Gardens in early August 2016. The students from the Orchids in Schools program at Kildare College participated. Latest reports are that 40 plants look like surviving. These will be used for seed production and for reintroduction. In 2012 NOSSA was asked to care for and propagate rescued Diuris behrii plants from Hillgrove Resources Mining Lease near Kanmantoo in the Mt. Lofty Ranges. The plan was to maintain the rescued orchid clones in cultivation for several years and to produce additional plants for reintroduction within the mining lease area each Autumn. A comprehensive recording and auditing system has been put in place to track each clone and any seed/daughter tubers/plants. By August 2015 there were 609 plants with 75 original mother plants. There were 95 daughter plants returned to the site for revegetation in each of the years 2014, 2015 and 2016, a total of 285 plants. Funding from Hillgrove Resources has assisted NOSSA financially and has made it possible to consider funding conservation work. NOSSA is planning to apply for charity status so that donations can be used for tax deductions. Donations will then be feasible through our website. We are also starting an orchid seed bank. Seed will be available only to members and it is hoped that this will increase our membership. There is a demand for Australian orchids overseas and it is hoped that this will become a means for raising funds for conservation. Other means of fund-raising such as sausage sizzles and selling kits for craftwork are also being considered. 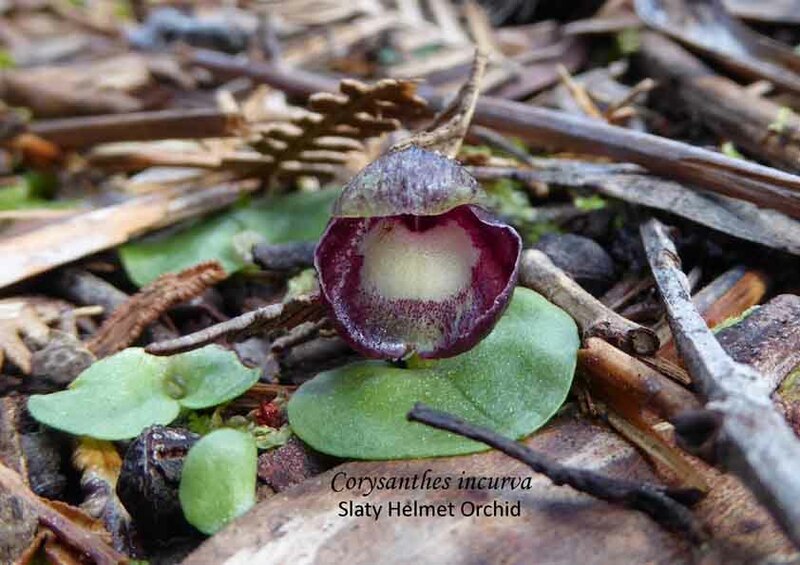 NOSSA members still continue to be involved in surveys and monitoring threatened orchids. Members have been involved in the planning of monitoring. The management committee of NOSSA is currently working on a revision to the Rules of Association. In the current version there is a two-year limit on the term of the President of two years. In the first 16 years from 1977 there were there were eight different presidents before one had a second term. Bill Dear was president in alternate terms until he retired and moved to Western Australia in 2012. Robert Lawrence was elected president in March 2014, but for the first time in 2016 there were no nominations for president and he was nominated to the role of vice president with no other nominations. The management committee has appointed a subcommittee to review the Rules in relation to the terms of the president. Another change planned is change from having monthly general meetings to having less formal monthly meetings at which no decisions are made or minutes kept. All resolutions will require calling a formal special meeting. This idea is adapted from the approach used by ANOS Victoria. At its establishment NOSSA was primarily a Society of orchid growers. These figures reflect a decline in interest in growing orchids. The figures are somewhat surprising in that the numbers interested in growing orchids are much larger than the number of growers. Presumably some of these are interested in learning with a view to getting involved with growing later. At least we hope this is the case. We are certainly noticing a decline both in our numbers of growers and in members involved in surveys due to age and health. The greatest number expressed an interest in general knowledge and we are relying on the Journal and the Website help to keep people interested and informed. Next was field trips, but we haven’t had that many that have attended field trips in in the last few years. Only 11 of those who expressed an interested in field trips are not interested in photography, the next item of interest, and only 10 people interested in photography were not interested in field trips. Not many of these share their photographs at monthly meetings. We are hoping to get members to make their photographs available for the identification guides. It is pleasing that 58% are interested in conservation, thus supporting the efforts of our Conservation Officer. Growing terrestrial orchids was next on the list; we hope that the tuber bank and the NOSSA Seed Kits are meeting the demand from members. Twenty-two of the 41 interested in growing orchids are interested in growing both terrestrial and epiphytic orchids. Only 8 of the respondents are bringing plants to meetings and a couple of others have not completed the survey. Of those interested in growing terrestrial orchids, one is a former grower and another is interested in growing them in situ at revegetation sites. Thirty members expressed an interest in doing orchid surveys and three of these are interested in participating in the future, presumably when more time is available. Citizen science is a new concept to many and came last in our list of interests. One who did not indicate an interest said he was monitoring orchids at a particular site; this has been taken as an interest. Surveys are certainly one form of citizen science and only 2 of those who indicated an interest in citizen science did not indicate an interest in being involved in surveys now or in the future. Thirteen of the 30 interested in surveys did not express an interest in citizen science. If these were included, interest in citizen science would be 43%. Only seven members indicated an interest in all of the categories and one of these wants to keep in touch with the club and with old friends. The Annual Spring Show in September 2015 was a particular success, largely due to the efforts of one our new members in promoting the show through local media and by other means. We also benefited from the donation of collections of growers who had decided not to continue with their collections. NOSSA has continued to maintain a tuber bank that is available for members. A small number of our members are also members of ANOS Victoria, and have obtained tubers from their collection. This is hopefully contributing to the variety of terrestrial orchids grown by our members. Working bees continued to be conducted in association with the Threatened Plant Action Group at Belair National Park for improving habitat for the nationally endangered Pterostylis cucullata (Leafy Greenhood), at Grange Golf Club to protect and monitor Pterostylis arenicola (Sandhill Greenhood) this being nationally vulnerable and locally endangered and on York Peninsula in conjunction with a local Friends group for the nationally endangered Caladenia intuta. NOSSA has for many years used Australian Orchid Club (AOC) judges and knowledgeable members, who have all studied the ANOS judging rules, to judge orchids at NOSSA monthly meetings and shows. As the number of judges has fallen in recent years, judging training sessions have had to been discontinued. We wait in anticipation for a proposed ANOS judges correspondence course, as we have for more than 10 years. There are at least three AOC judges interested in the ANOS judging correspondence course. It is disappointing that ANOS Awards are still limited to Queensland, New South Wates and Victoria. In summary, NOSSA continues to be active in many ways and these activities are working together to support each other. Interested in these activities, why not join up and get involved. Click here for Membership details. Part One covered hints for photographing orchids so as to be able to identify the plant. Part Two gives an example with Cyrtostylis robusta (Winter Gnat Orchid) and C. reniformis (Small Gnat Orchid). Although the flowering times are different – C reniformis is spring flowering and C. robusta is winter flowering – there is a slight overlap in August when it is possible for both to be flowering at the same time and in the same place. The flowers are very similar but major difference between the two species is the leaf. Both leaves are roughly kidney shape but C. robusta is pale green with pale , almost undistinguished veins, silvery underneath whilst C. reniformis is heavily veined, blue-green above and green below. C. reniformis, easily identified by the leaf, even when in bud. C. robusta has pale reddish buds and larger flowers, labellum crenulated (slightly wavy) and a fine point at the apex. Consequently, it is important that photographs of the flowers clearly show the labellum – pointed labellum apex for C. robusta compared with the rounded labellum tip of C. reniformis. In this photograph it is possible to identify the plants as C. robusta because of the leaves even though there are no clear views of the labellum.